The Bb tuba 1291 by Miraphone is superb for large ensembles and big stages. Major concert halls are no match for the efficient sound projection of this 5/4 size tuba. 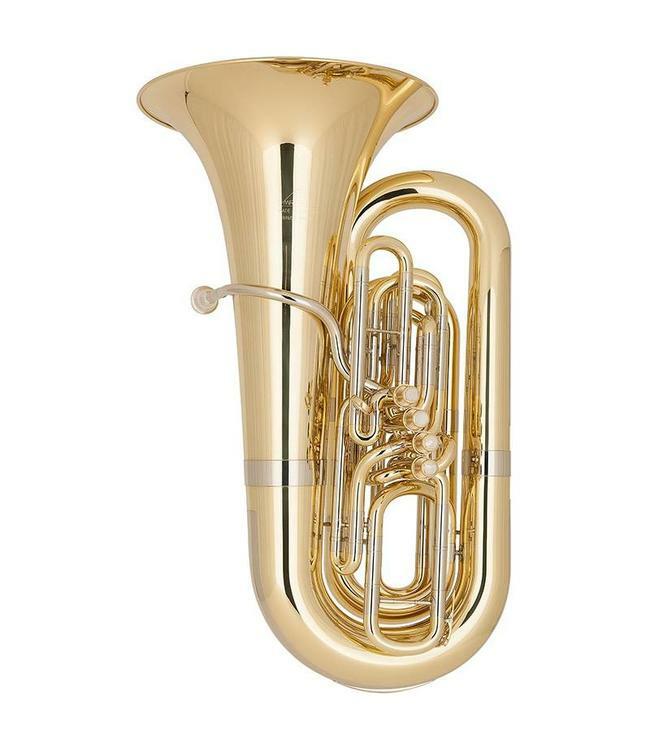 With its large bore the Bb tuba 1291 possesses an even and light response, even at a pianissimo dynamic, maintaining excellent intonation in all registers. Particularly in the lower range, the sound is extremely open and centered. The free-floating leadpipe supports the voluminous, clear and focused sound. The smooth and quick action of the piston valves allow for precision and perfect handling.